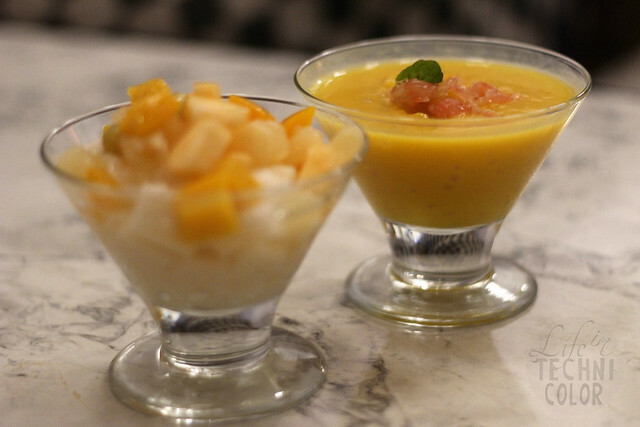 Read all about DaTang Jardin's grand opening last week! 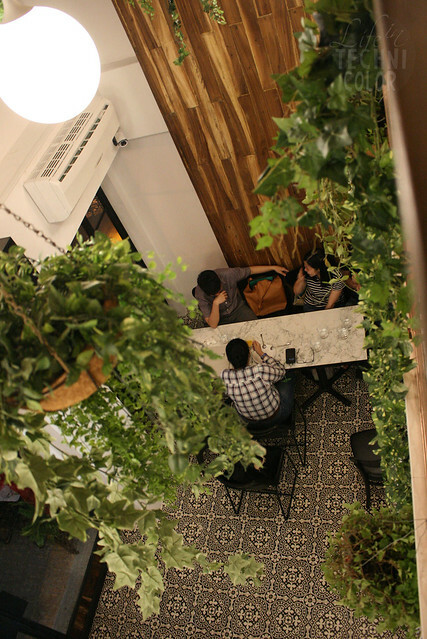 After their recent relaunch of Balkan in Makati, the group behind the Yugoslavian restaurant opens a new restaurant in Burgos Circle - DaTang Jardin Asian Tapas Bar. 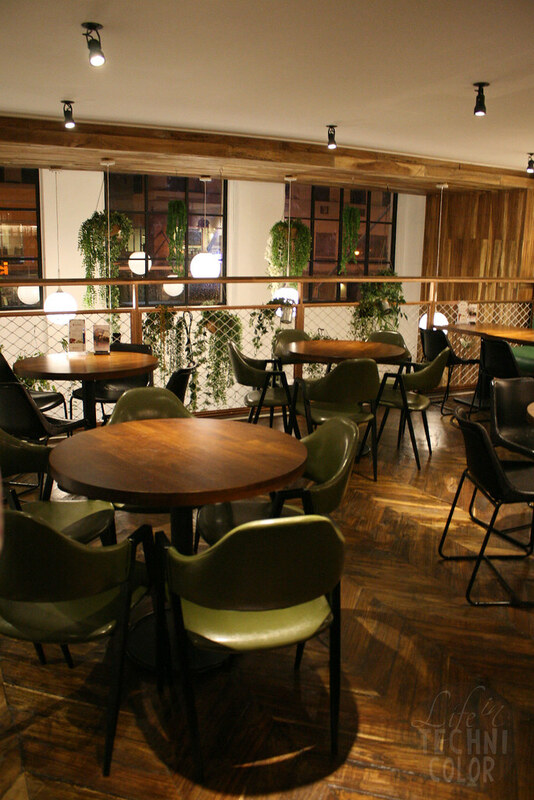 Since it's a tapas bar, their focus is a wide variety of appetizers and snacks that are good for sharing. The servings are small bite sized portions so you get to try numerous dishes without getting full easily. The name DaTang was derived from the Chinese Dynasty called "Tang Dynasty." The Tang Dynasty is considered the Golden Age of ancient China. This dynasty marks one of the most prosperous Chinese eras, especially in literature and food. 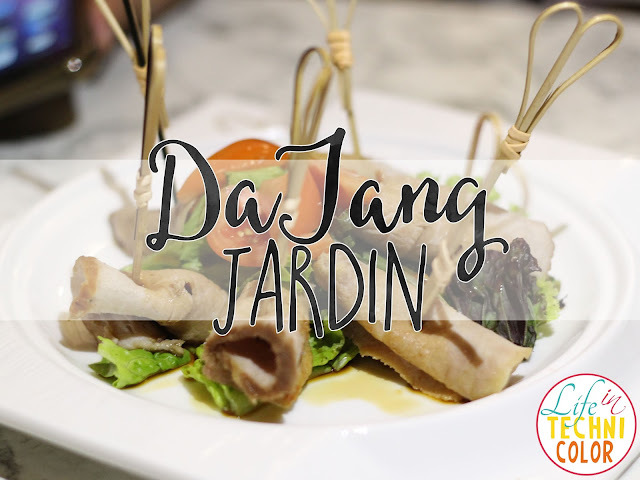 DaTang was formed by a partnership from Taiwan International Restaurant Chain Group, Alley's Cat and DaTang Express Inc. Inviting Taiwan multi-awarded Chef Master William Liu, comes the first branch of DaTang Jardin Asian Tapas Bar along Forbes Town Center in BGC, Taguig. 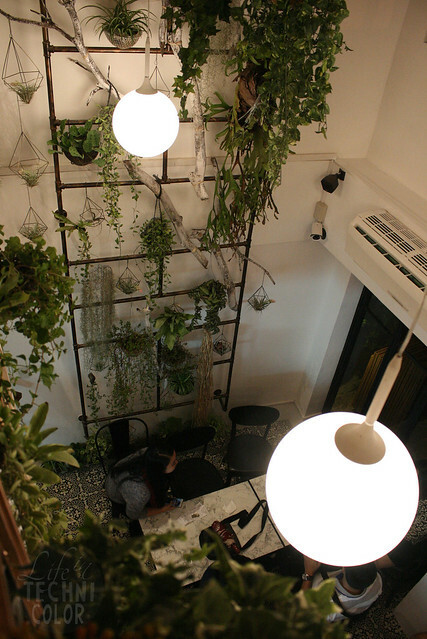 DaTang Jardin was inspired from the diverse aroma, freshness, and beauty of a garden. 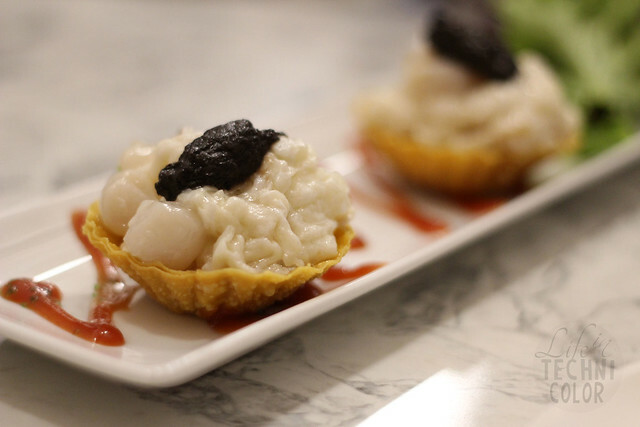 Pertaining to the food, the dishes are served with guaranteed freshness, beautiful presentation, and diverse flavors coming from 8 culinary traditions from 8 regions of China. 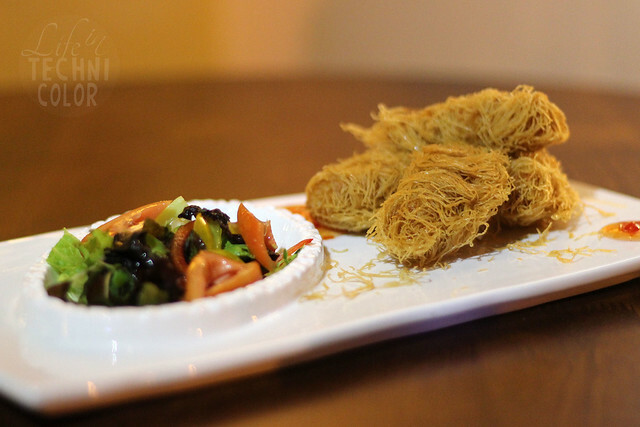 Master Liu subvert the stereotype of traditional Chinese cuisines into a much more stylish, exquisite, and authentic Chinese experience. The Deep-Fried Shrimp and Purple Yam served with Fresh Lettuce (P360) is an interesting dish to start with because of the different textures that come to play. The shrimp is mixed with purple yam then wrapped inside crunchy vermicelli noodles, and finally dipped into some sweet chili sauce. 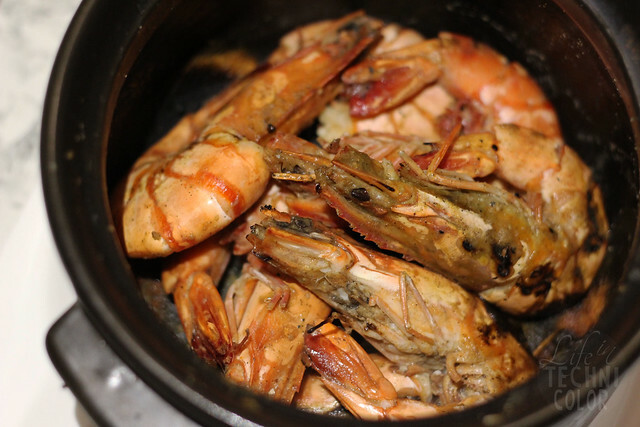 The Griddle Cooked Shrimp with Garlic and Pepper (P620) came out next. Shrimps are always one of the pricier dishes found in restaurants like this, and for DaTang Jardin, I completely understand why, because their shrimps are huge! I just wish they removed the shells before cooking to give it more flavor. I also thought it was difficult to remove the shells on our own given that we only had a soup spoon and chopsticks at our disposal. 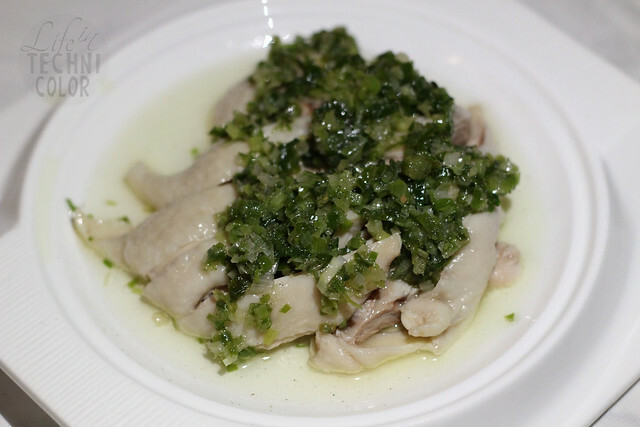 When they placed this Steamed Chicken with Scallions (P280) on our table, to be honest, I wasn't very excited. Another person from the group did all the ordering for us - not that I minded - I just hate the way steamed chicken skin tastes. Also, I expected it to be bland, being that it's just steamed chicken, but I'm glad I went ahead and tried this, because the scallions brought so much flavor to the dish. I highly recommend it. Another chicken dish we tried was their Steamed Chicken with Chili (P280). 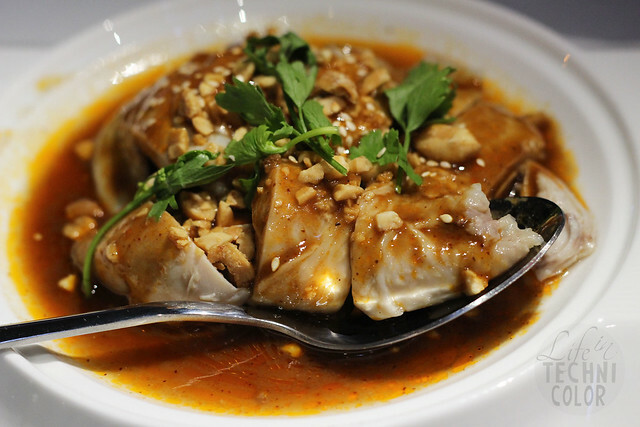 It is basically the same as the previous dish, but this one is slightly spicy and served with peanuts on top. The Sweet and Sour Pork (P150) was one of our more colorful dishes that evening. 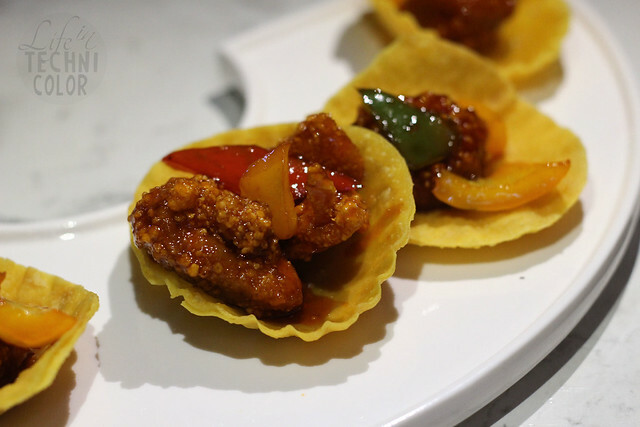 Small portions of the pork are placed on top of fried wonton wrappers for easier eating. It reminds me of fancy cocktail party finger food. Yum! 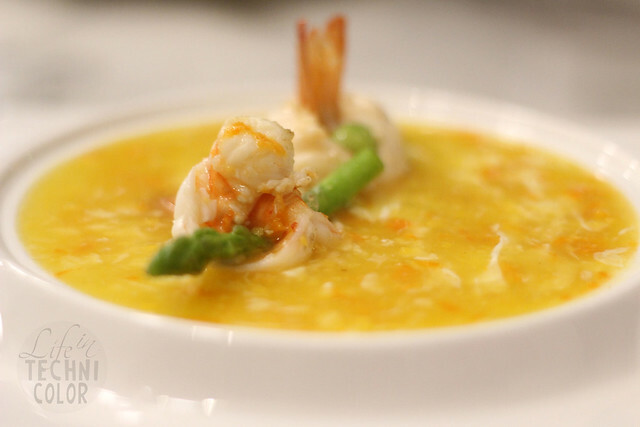 The Steamed Shrimp with Asparagus in Crab Egg Sauce (P220) was the most unique thing that came to our table, I think. We were served two shrimps wrapped around a piece of asparagus then lots of crab egg sauce that reminded me of crab and corn soup. I guess it's not one of the "shareable" dishes at DaTang. 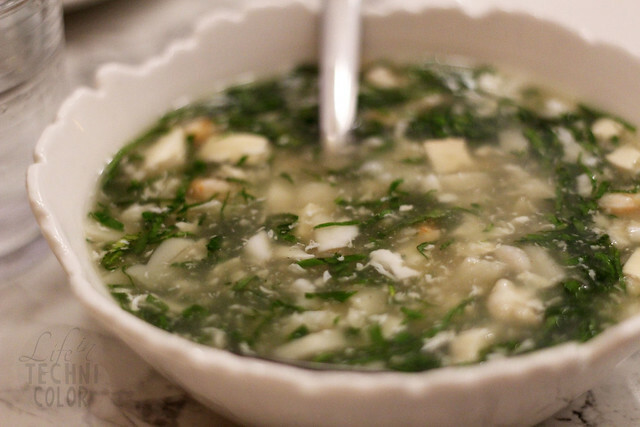 The Seafood and Vegetable Thick Soup (P260), on the other hand, was perfect for sharing! I actually had something like this the other day at a different restaurant, but the vegetables were grinded on a blender, so the soup came out green. Here, you can still see and chew on the vegetables, but it was a delicious dish nonetheless. My ultimate favorite at DaTang Jardin is their Pan-fried Sliced Scallops with Milk and Egg Whites in Truffle Sauce (P420). I couldn't stop eating it. The truffle smells SO good!! All the flavors went really well together too! 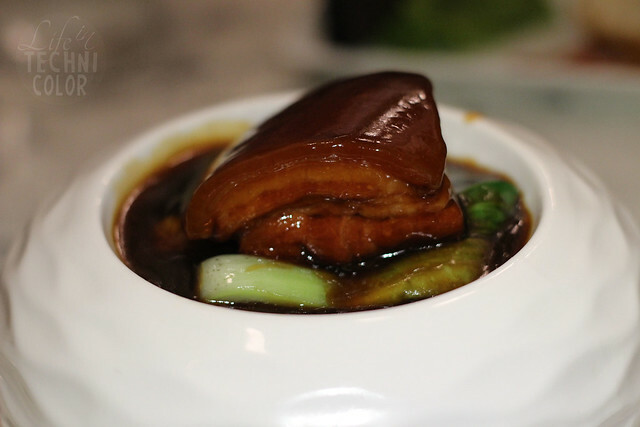 The Dongpo Pork (P200) is a pork belly dish that's just oozing with flavor. 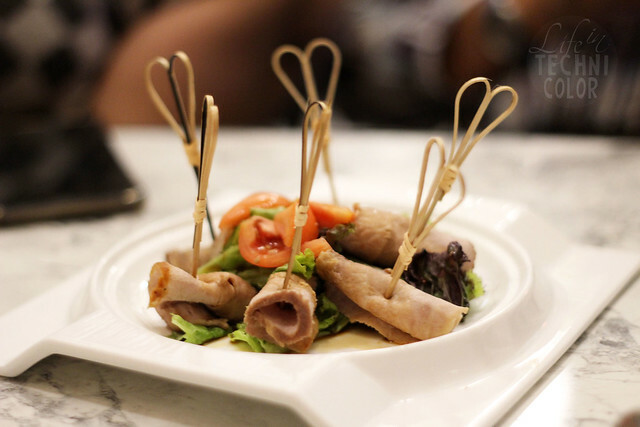 It consists of layers of fat and lean meat that's sure to satisfy your tastebuds. I've never had pork neck before so I don't really have anything to compare their Grilled Pork Neck with Garlic Sauce (P280) to. It's not bad. I actually liked the flavor and the texture. It feels like a simple dish to prepare, but the way they presented it makes all the difference. 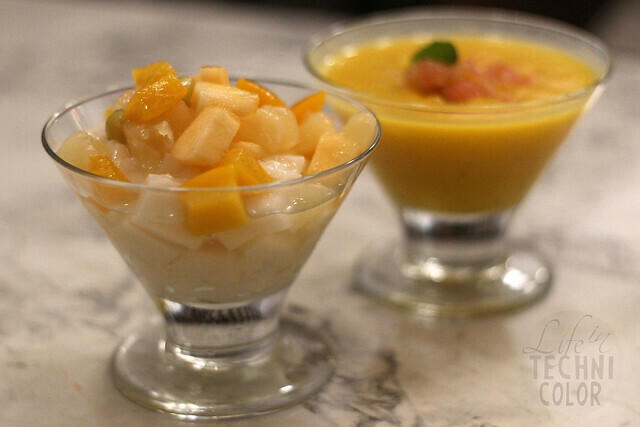 The Mango, Pomelo and Sago Sweet Soup (P150) is their amped-up take on the regular mango sago. 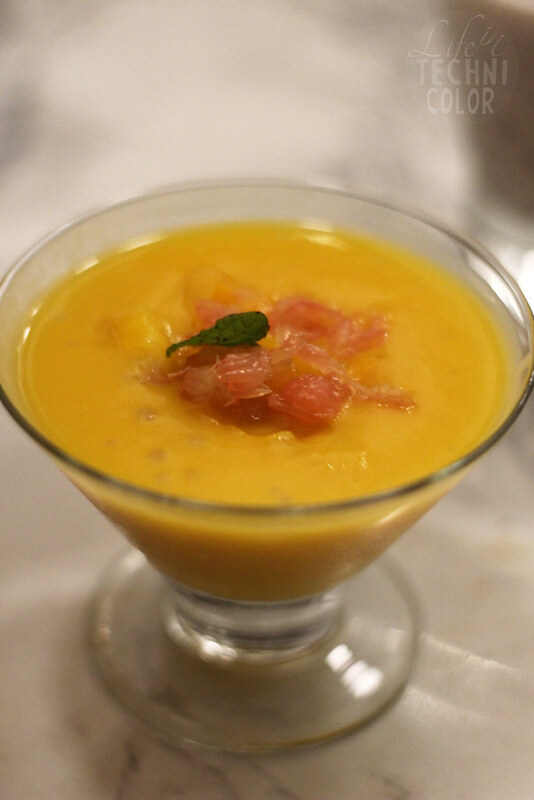 You gotta give it to DaTang Jardin - they took a refreshing crowd favorite and made it their own with the added pomelo. 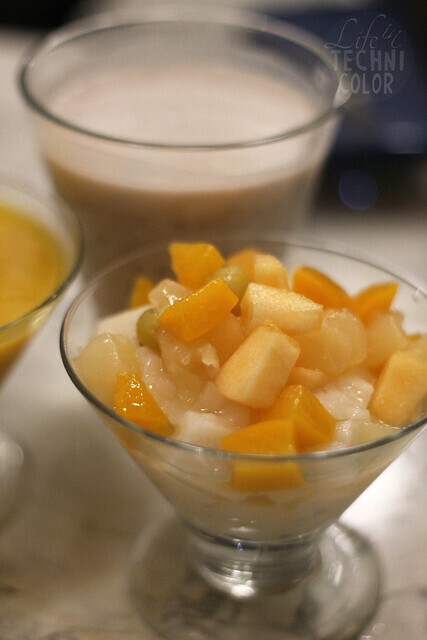 The Almond and Tofu with Mixed Fruit (P130) is a melts-in-your-mouth kind of dessert. It's a party in your mouth, so make sure to get a bit of everything each time! 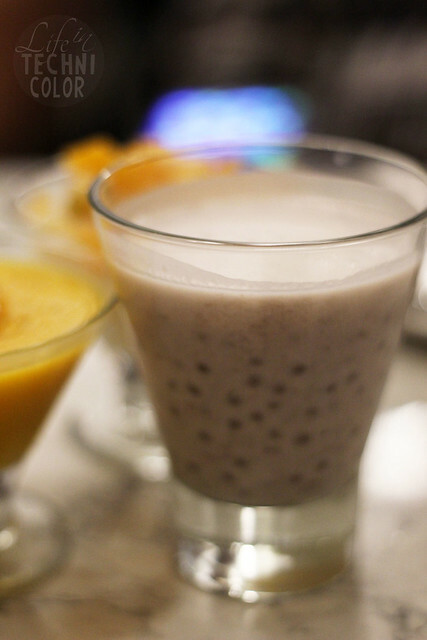 The Milk Taro with Sago (P130) comes with crushed taro and lots of sago! It's like a cold version of ginataan which I really liked! Congratulations on the successful grand opening! Looking forward to dining again soon! 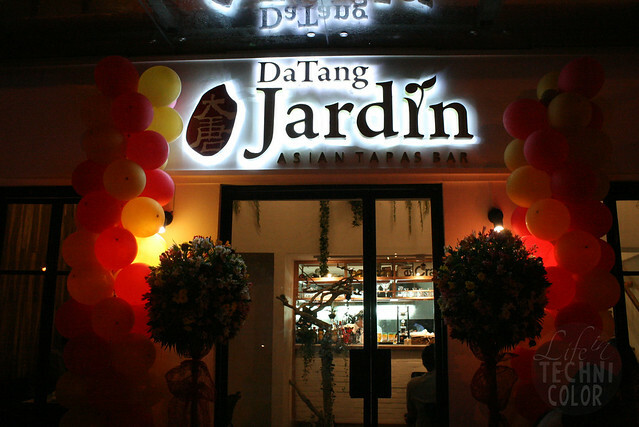 DaTang Jardin is located at Forbes Town Centre, 29th Street, Burgos Circle, Bonifacio Global City, Taguig City.